Every owner and occupant of land abutting on a highway and/or sidewalk within the Village shall keep all sidewalks abutting on, in front of or passing over such land and/or all curb cuts, aprons, ramps, driveways, and/or motor vehicle ways lying between such sidewalk and the street nearest thereto, free and clear of all snow, ice, wastepaper, garbage, rubbish, and/or other obstructions to pedestrians and/or traffic. (b) Failure to clear snow and/or ice from the sidewalks and/or all curb cuts, aprons, ramps, driveways, and/or motor vehicle ways within a period of twelve (12) hours, not including the period 9:00 p.m. and 7:00 a.m., after the snow ceases to fall and/or the ice to form shall be deemed a violation. Some neighbors have utilized the low cost way of keeping snow clear by contracting together for sidewalk snow removal, while others make sure to assist the elderly and those in need. 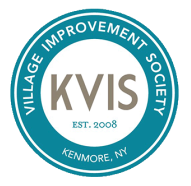 By keeping our sidewalks clear we may keep ourselves from injury and litigation –all while helping to retain Kenmore’s identity as a safe, walkable community of caring people.